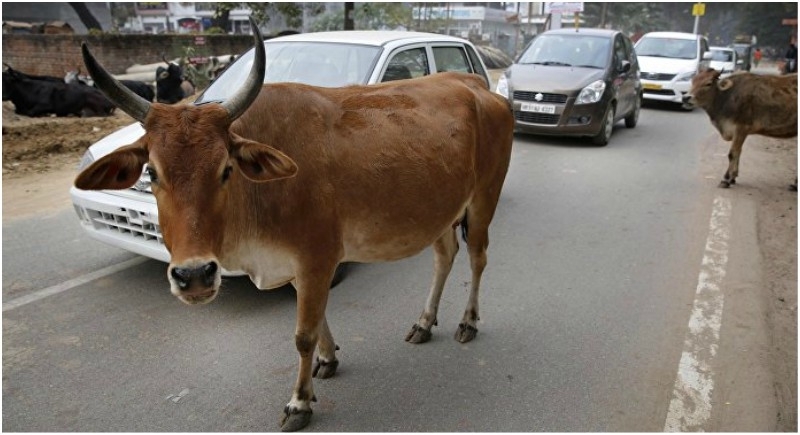 Lucknow, January 31: Officials in Uttar Pradesh have been ordered to barcode stray cows in the state. UP state government ordered the authorities to barcode stray cows and use vacant buildings to shelter them in response to farmers' complaints that the closure of slaughterhouses has created a menace of crop-destroying, free-range cattle. According to the state government's order, the officials should use radio frequency identification technology to scan the tags to help keep track of stray cows. Since the government began closing cow slaughterhouses in 2017, many farmers have abandoned their cattle, unable to continue feeding them after they stop producing milk. Cows are considered holy by Hindus; slaughtering cows is banned in parts of predominantly Hindu India, including Uttar Pradesh. Earlier this month, fed-up farmers in the city of Agra herded a group of stray cows into a government school building, forcing school children to attend class outdoors.